How to perfect your web messaging strategy and website presence. techniques and requirements in mobile and digital marketing. 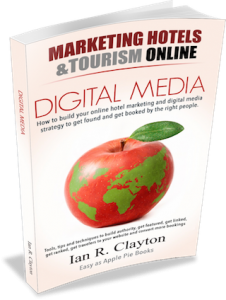 strategy to get found and get booked by the right people. 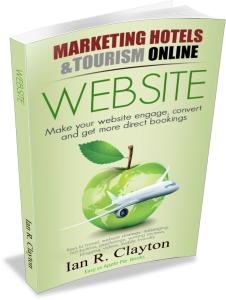 get ranked, get travelers to your website and convert more bookings. 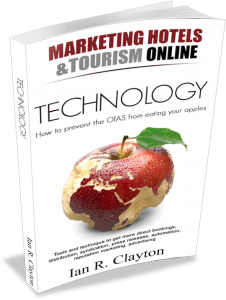 How to beat the online travel agents at their own game and get more direct bookings. – Get on the list to be notified when Amazon runs the Kindle FREE days. That’s several days shortly after the book is launched where Amazon allows me t give it away for FREE. Its great for me as you will love the book and want to share it with your friends. It will go on sale for about 6.99$ USD in Kindle at and 14.99$ USD for the paperback (B&W) Colour version also available. Special Promotions will be available on launch.